Highlanda.net and The Honorary Citizen present RUB-A-DUB – A style of Jamaican Reggae emerging in the 70’s and 80’s, the term “Rub-a-Dub” comes from a dance style where the man and woman rub up very close together. This takes place Sunday November 8th at The Sound Table located at 483 Edgewood Avenue with music by YahQuan Da Travellah, alongside DJ Passport and also Highlanda Sound. Doors open promptly at 8pm for this Free Party. 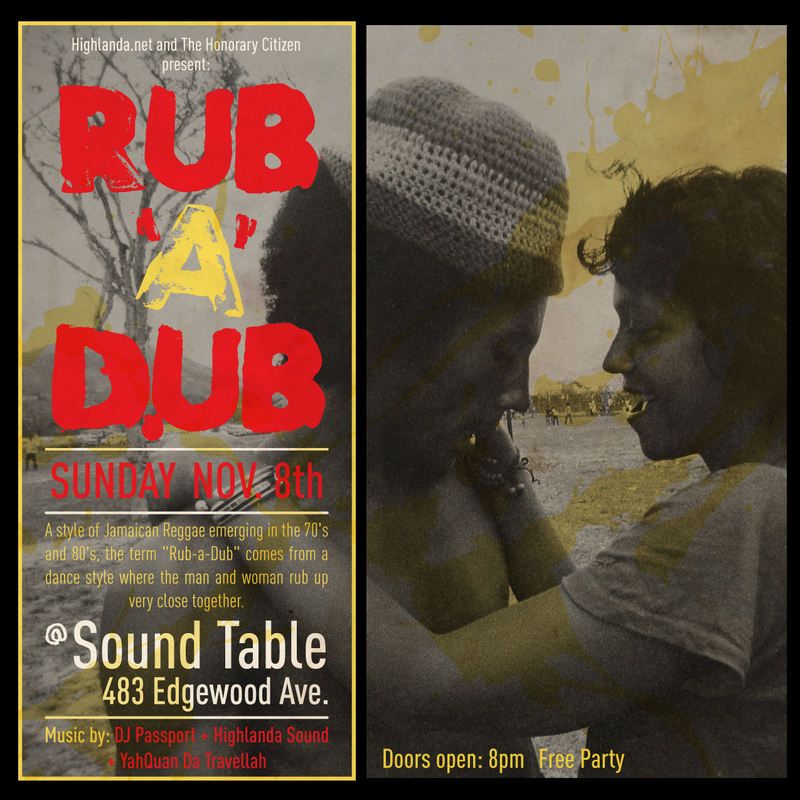 Rub-A-Dub, 2nd Sundays at The Sound Table w/ Highlanda, DJ Passport and guest DJs monthly.